I was in a rest stop on the Taconic State Parkway in New York (on September 21, 2015), when a large 'bang' was heard. Outside we found a Toyota Scion coupe upside down in the south bound lanes. A NY State trooper stated that the driver was speeding while going north, in a car that had a temporary spare tire installed. He lost control, crossed the median, and flipped his vehicle. Amazingly, no one was injured. Of interest to me in taking this photo however, was that the car landed just feet from the rest stop caution sign "Wrong Way". 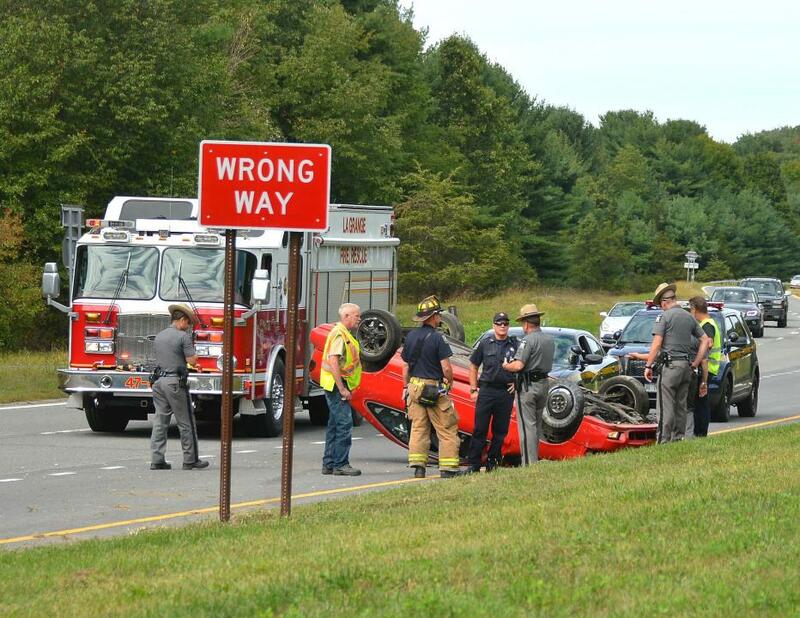 I guess this is proof that you should not attempt to drive your car upside down, at least not in New York.